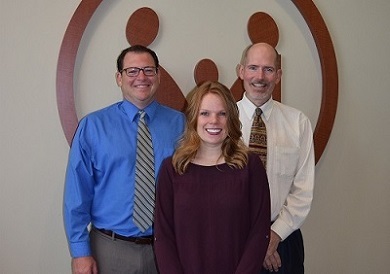 Hiawatha Community Hospital's Diabetes and Wellness Education Program is accredited through the American Association of Diabetes Educators (AADE). Our mission is to provide evidenced-based knowledge, instruction, guidance, and empowerment to our patients. Taking good care of yourself can seem overwhelming when you have diabetes whether you've just been diagnosed, or you've been living with diabetes for some time. We're here to help! * Group classes are taught by our diabetes team which includes a local physician, our hospital pharmacist, and dietitian. * Class sessions are offered five times per year. * Classes are provided as four, two hour long classes. * An individual appointment with the program coordinator is scheduled with each patient before attending the group sessions to conduct initial assessment and education plan. * Follow-up reports are sent to the referring provider. 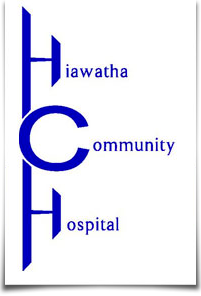 "Hiawatha Community Hospital is pleased to offer the National Diabetes Prevention Program to the community using the CDC's Prevent T2 curriculum. As part of a PreventT2 group, you will work with a trained lifestyle coach and other participants to learn the skills you need to make lasting changes. You will learn to eat healthy, add physical activity to your life, manage stress, stay motivated, and solve problems that can get in the way of healthy changes. PreventT2 is a year-long program with weekly meetings for the first 6 months, then meetings once or twice a month for the second 6 months to help you maintain your healthy lifestyle changes. By meeting with others who have prediabetes you can celebrate each other's successes and work together to overcome obstacles. For more information, contact us today!"